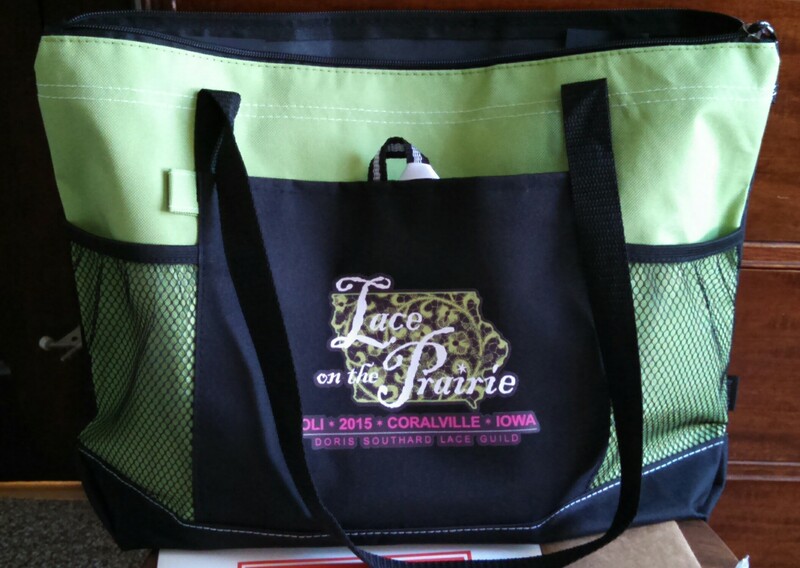 This year’s convention of the International Organization of Lace was held in Coralville, Iowa and hosted locally by the Doris Southard Lace Guild, of which I am a member. I arrived on Sunday, July 26 as set up and events were beginning on Monday the 27th. 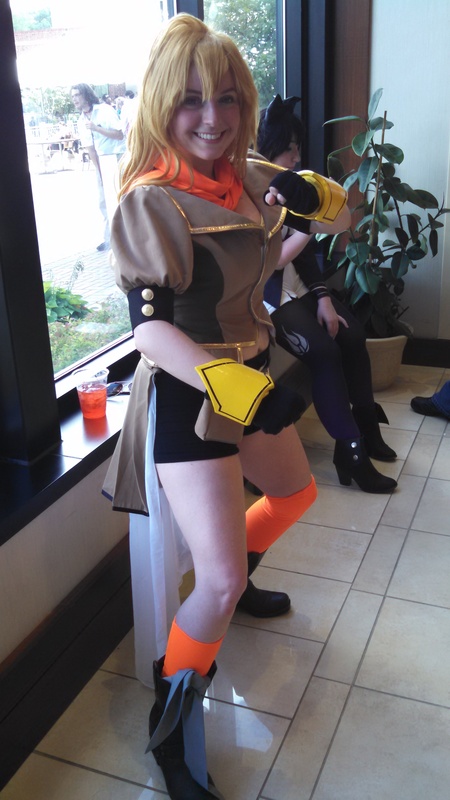 The convention prior to ours was Anime Iowa, so everyone was dressed in lots of great costumes and people watching was fun while waiting for friends to arrive and our room to be available. The anime folks didn’t just let us take their pictures – they posed! The IOLI convention has evening events, group meals, and tours but the main draws for me are the classes, the vendor room, and the lace exhibit. I chose to take a 12-hour class in the afternoons with Karen Bovard in Pearl Tatting. I’ve been looking for a jump start to my tatting and thought that learning this new technique would do it for me, and it did! Karen was an excellent teacher, very excited about her topic and encouraging. 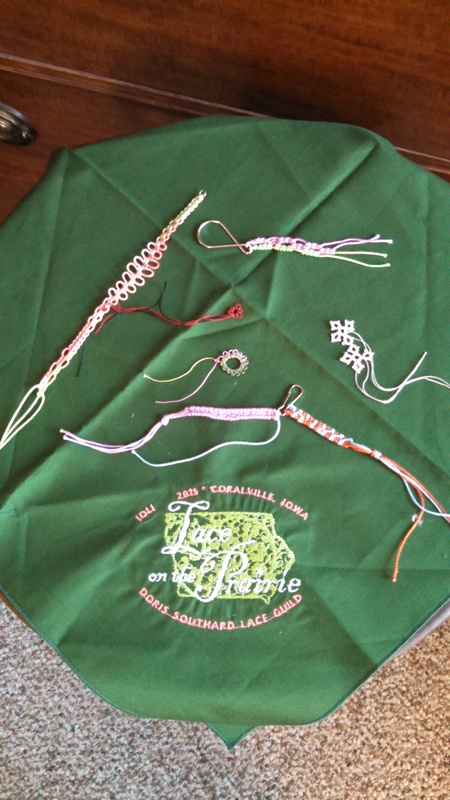 I don’t have a lot of my samples because most of them turned into bracelets for the nieces. We started a big project that I haven’t finished yet but am eager to get back to it. I will do another blog post about that project and an overview of pearl tatting. I didn’t buy much in the vending room, but I decided that I would purchase one fun book that is not readily available from other sources. Since so many Japanese people respond to my pictures of tatting on Instagram I realized that tatting is big over there and they are publishing some gorgeous books. I pondered and am thrilled with the Japanese tatting book I chose to buy. I have already made a few of the bracelets from the book and started a necklace and the belt. The patterns are diagrammed and clear for an intermediate tatter who doesn’t read Japanese, like me. 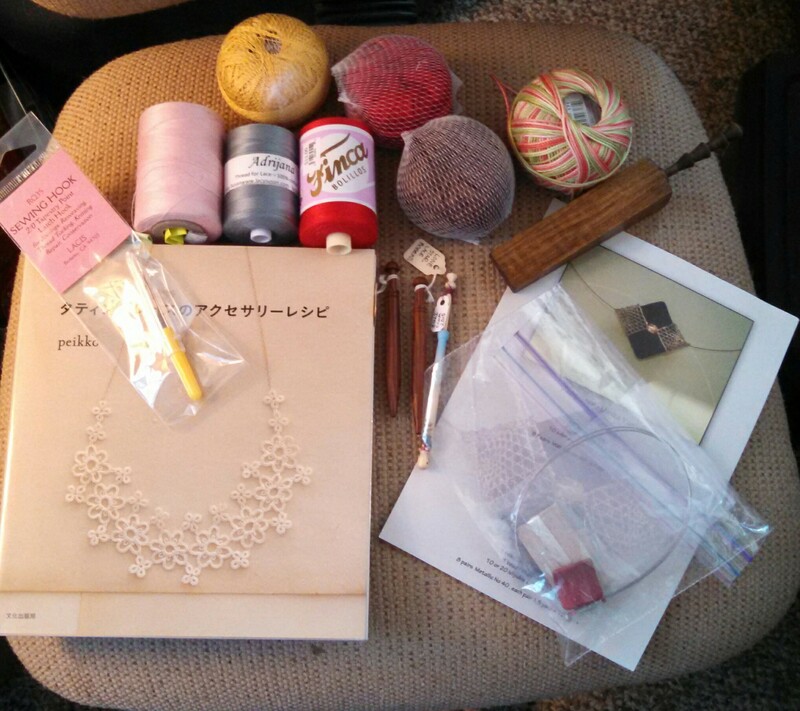 I also purchased several threads for tatting and some for a bobbin lace scarf that I plan to start soon. I picked up a few bobbins, a brake for my roller pillow and a kit for a bobbin lace-covered neckace. Oh and a tiny latch hook for making sewings in tape lace. 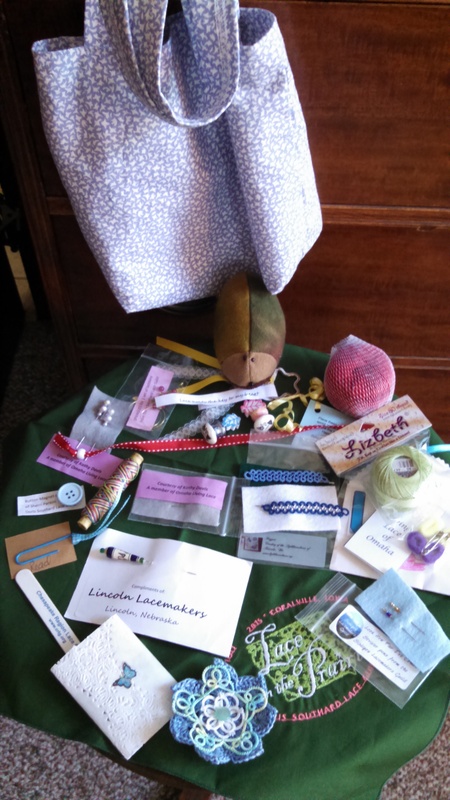 One thing not shown is the lovely nostepinne for winding yarn balls that I got from Al Frederickson. It’s already in my knitting bag. Each meal and event had favors at the place settings. Thank you to all the groups who donated and made items for us. I think there were approximately 250 people registered and attending. People traveled from all over the US and the world and if they hadn’t been to Iowa before I think they were pleasantly surprised. The Marriott staff were marvelous and bent over backward to make sure all our needs were met. So many of the attendees commented to me about how nice the staff was. And the volunteers made the whole thing run; some of our members had never attended a convention but they jumped in and helped and made it a great experience. The week ended with our gala banquet and entertainment by a woman who gave an excellent and engaging program about hats. As soon as it was over I flew out of the hotel because my brother and his family were visiting from Connecticut and I was eager to spend time with them. He was there waiting to whisk me away, what a great guy! Yes, I noticed that tatting is big in not only Japan but Korea too.